Part 1: What is CPQ and why is it important? Does your company sell products and services that require a high level of effort to assemble and deliver a clean quote to the customer? Do your solutions have dozens, or hundreds of SKUs and configuration options, with pricing and legal terms changing dynamically for each variation? Does your sales business process have the potential to be error-ridden, cumbersome, and time-consuming for customers and your sales team? Are you concerned about sales team members having too much discretionary authority? Are self-service customers leaving your e-commerce site without purchasing, perhaps dissatisfied that their buying experience was lengthy and inefficient? For many companies, all of this can lead to frustrated employees not being able to get the information they need to support the business as well as poor customer experiences that ultimately cost you sales and drive clients to your competitor. When companies attempt to take on a CPQ initiative, often the question is, where do we begin and how do we know which CPQ platform is right for us? It’s a tough question to answer without getting a good look under the hood and discussing your current business processes. Let’s take a look at how a company could typically manage the sales cycle by role, while addressing all of the day to day business challenges using Salesforce CPQ. Starting with the Product Marketing Manager (PMM), who utilizes CPQ to create and update products and price books when new products come to market. The PMM works with the sales team on how to bundle and / or set up product option package(s) and makes the offering active. They also help define pricing strategies and implement these strategies via product and pricing rules Thanks to CPQ, the PMM knows the Sales team must sell within the defined guidelines, from both a configuration and pricing perspective. The PMM can also work with finance, manufacturing and supply chain, to manage and update pricing changes in near real-time. Meanwhile, in preparation for customer contracting, the legal team works with sales and marketing using CPQ, to ensure the appropriate legal terms are in place and appropriately formatted within a quote prior to delivery. Thanks to CPQ, legal is assured that the sales team is working within legal guidelines to close a deal and deliver goods and services to the customer. When sales reps are working with customers, CPQ helps them build a product and service offering specific to each customer’s needs quickly and precisely. The offering is priced correctly within the parameters set by the organization, complete with legal terms specific to the product and / or services offering. Ultimately this allows sales to spend more time selling and less administrative time putting together a package. In the long run, the CFO and CEO have peace of mind knowing that core functions of their company have come together to utilize Salesforce CPQ and create sales cycle efficiency. Their company is now creating a smarter quoting process and a single view to the customer’s sales experience from quote to cash. If they have any business concerns regarding renewals, they can rest easy knowing that the sales team is being pro-active in renewing contracts through auto opportunity creation or auto-renewal functions that trigger conditionally. 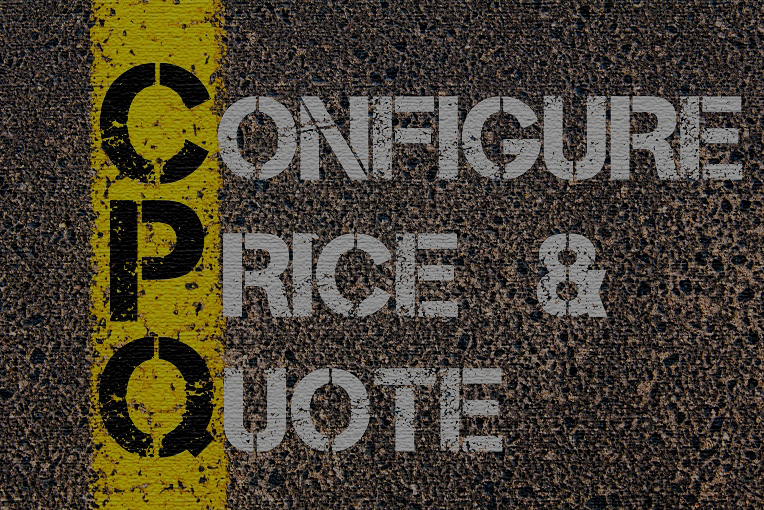 Finally, for the C-Suite, CPQ ensures highly complex distributor / partner / customer relationships with varying “contracted pricing” structures are managed effectivity so sales quote accurately. This is a high level CPQ software experience, but the takeaway is that cross-functional interaction and business logic understanding, is the key to a successful CPQ implementation. As you can see from this high-level overview of the CPQ software experience, Salesforce CPQ, when professionally set-up and customized by a best-of-breed professional services provider, creates good employee and customer experiences. Those positive experiences lead to attracting and retaining talented staff and growing a client base. And that talent pool and customer loyalty increases revenue and market share for your brand. The right CPQ platform implemented by the right partner results in your company having a substantial competitive advantage in your marketplace. Want to learn more about CPQ, click here to schedule a consult.